Quilt binding can make or break your quilt! 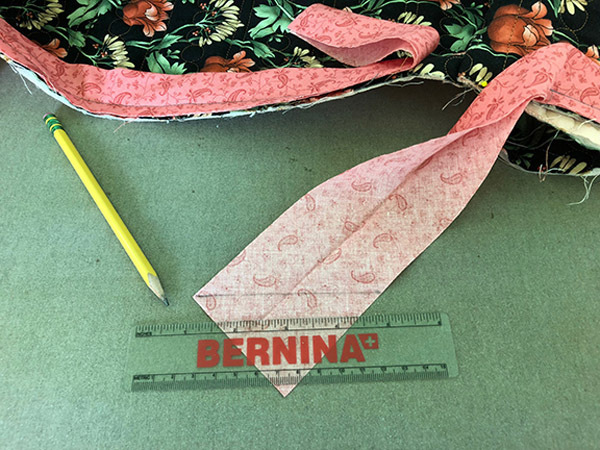 BERNINA Ambassador Annie Smith shares her expert advice for quilt bias binding tips to finish your quilt beautifully. 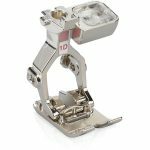 In June 2016, I did a Quilt Binding Tip post for WeAllSew that did a comparison between using a walking foot and a 1D Reverse Pattern foot with Dual Feed. 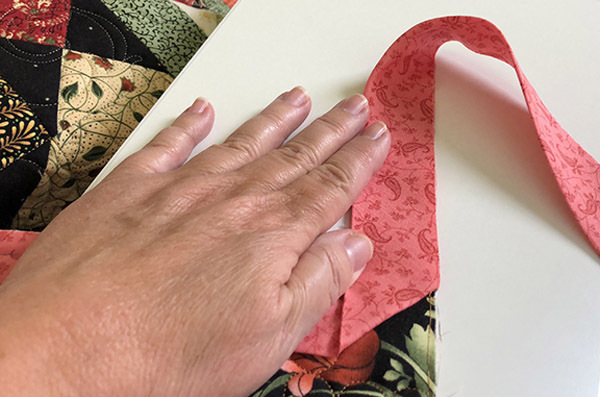 Since I wrote that post, I’ve had the chance to refine my quilt binding applications to create a better, sturdier binding. In addition to being a national quilt Instructor and BERNINA Ambassador, I’m also a Quilt Judge and have judged hundreds of quilts. 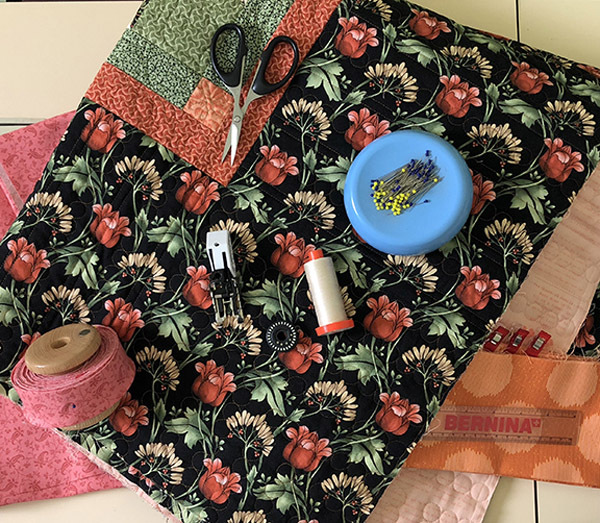 One recurring problem with quilts entered for competition is the binding: unfilled binding, overfilled binding, uneven binding and the trend to stitch the binding to the back of the quilt and topstitch it on the front. 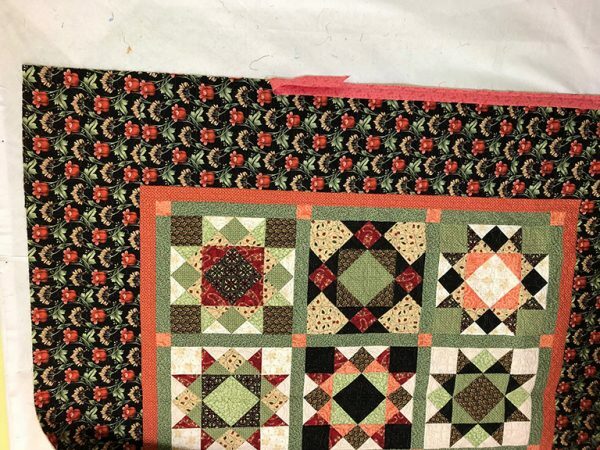 In all my years of judging, I have seen just one quilt that had perfectly machine top-stitched binding on it. The rest were marked down because of the problems with inaccurate stitching. 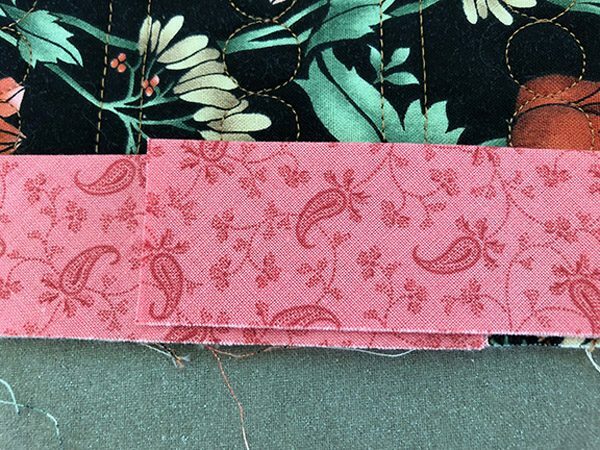 In this post, I’ll give you all of my little tips and tricks for accurate binding, some you may know and some that will be new to you. I’m going to take you step by step. His whiskers rubbed the fabric open because there was no cross-weave support on the edge of the quilt. His whiskers were like a cheese grater on the weaker straight weave of the fabric. The place that the quilt will get the most wear is the bound edge. So, I went back to using Bias binding, as I did when I first started quilting. Bias binding fell out of favor because it’s a pain to make. Bias binding is much more sturdy for the quilt because the edge of the binding has a cross-weave, rather than a straight weave. I also prefer to use a ⅜” binding rather than a ¼” binding. 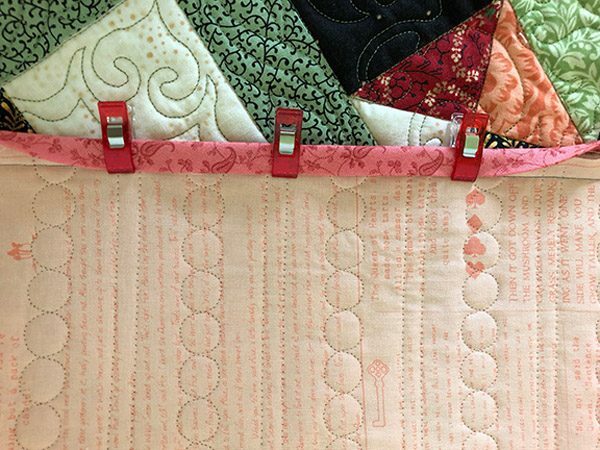 In my opinion, ⅜” binding gives you a “meatier” binding, and ¼” is just too skinny, especially on a queen or king bed quilt. 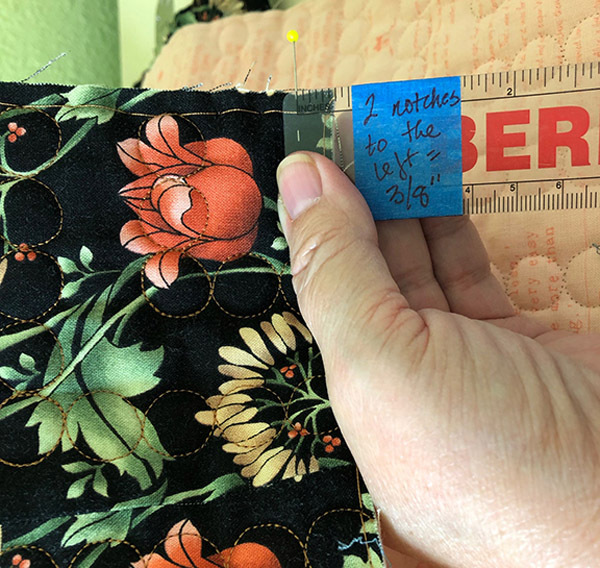 I think that little extra ⅛” measurement of binding adds a nicer frame to the outside of the quilt, especially with the lofts of our batting being just a little bit thicker. All of my instructions that follow use a ⅜” binding and seam allowance. 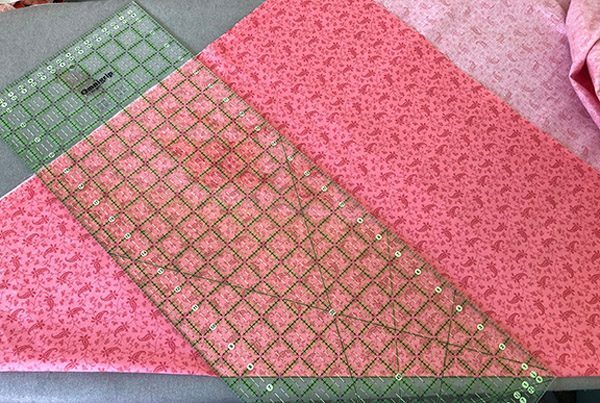 I start with ¾ yard cut of binding fabric for most quilts. Fold up the fabric so the selvedge matches the cut edge to get a perfect 45-degree angle. Press the folded edge with iron to get a crisp crease. 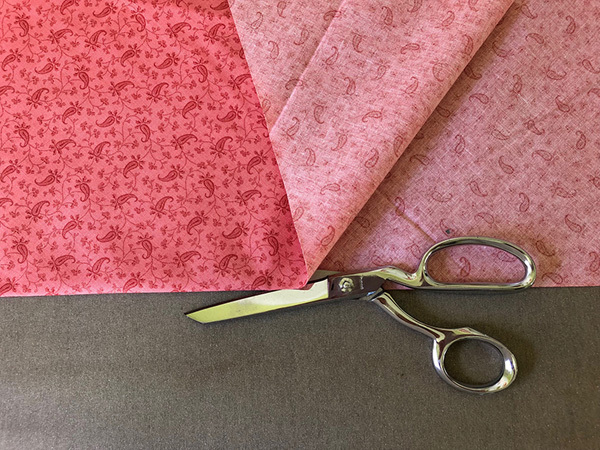 Keep the fabric flat and cut with scissors in the crease. Press entire piece of fabric flat so there are no evident folds. 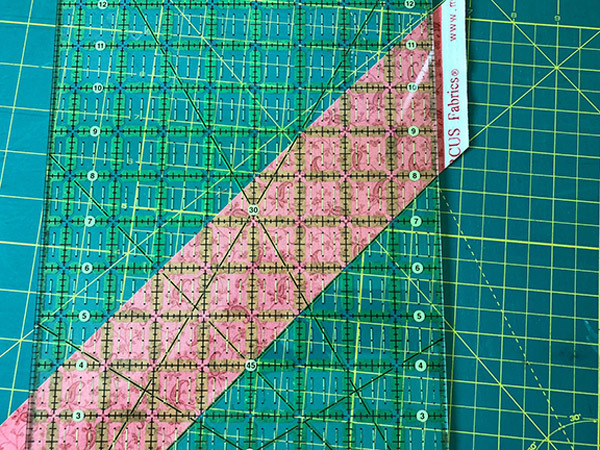 TIP: When cutting strips or other subcuts on my mat, I don’t line the fabric up to the markings on the mat. For consistent cutting, I always line up using the ruler. I find that the sizes of my cut pieces are more accurate. If the mat lines bother me, I’ll flip the mat over to the unprinted side. So if you see in my photos that the fabric is laid “off” of the lines on the mat, that’s why. When I cut my strips, I use 2 ¾” as my width. 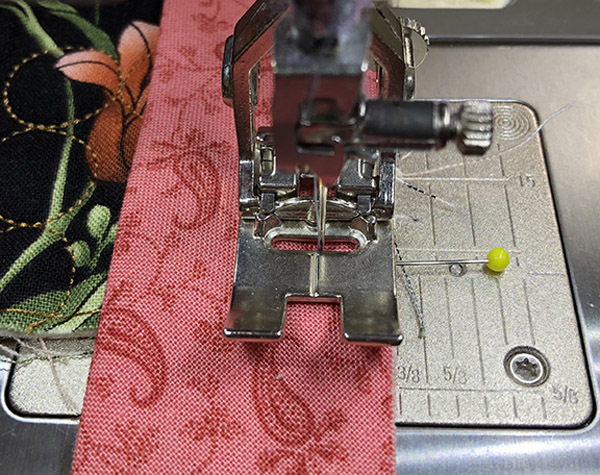 With the ⅜” seam allowances, you also need to take into consideration the thickness of the quilt at the edge – which is where the 2 ¾” strip width comes from, to accommodate that. TIP: I mark my ruler with blue painter’s tape and write the width on the tape with a permanent pen, so I can remember where I need to lineup and cut. It’s easy to see and easy to remove for other sized cuts. After cutting the crease with scissors, turn the fabric one-quarter turn clockwise so the cut crease is now vertical. Fold the fabric in half, lining up the cut so the raw edges are even — as pictured below. 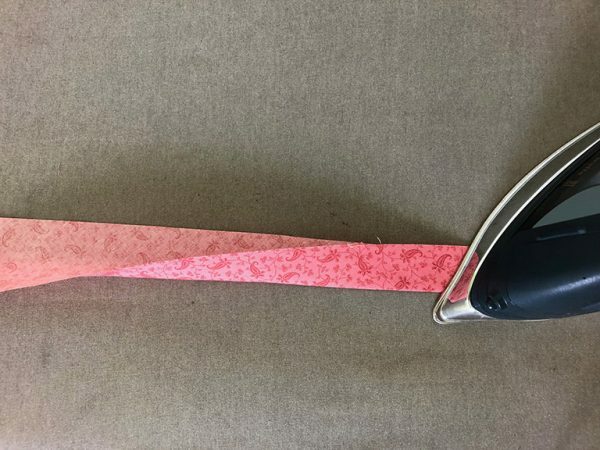 This becomes your new raw edge to line up your ruler for cutting the strips. When you cut your strips, move the fabric away from the cut edge, rather than picking up the ruler. 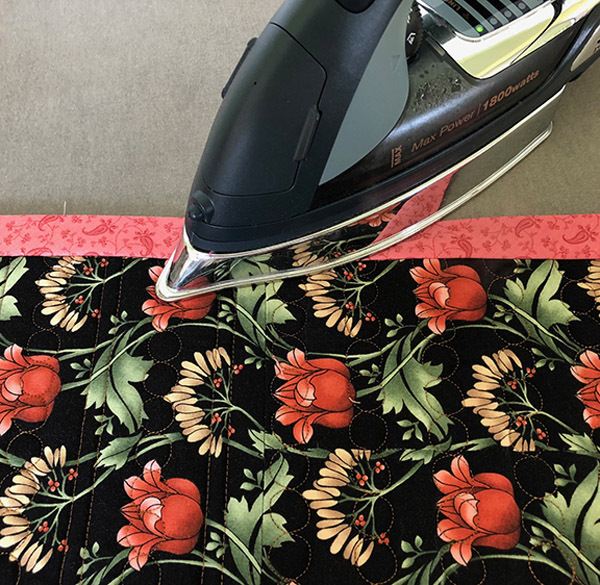 If your rotary cutter doesn’t make a clean cut all the way through the fabrics, it’s easier to just cut through the fabrics with the ruler in place, than to try and line up your ruler on the same cut line again. I get nine good cut strips out of the ¾ yard of fabric, which is usually a little more than I need for the project. That’s good insurance. After all of the strips are cut, I trim the angled ends (selvedge) off and then I have the correct angle set for sewing the strips together. I line up the ruler on the 45-degree line of the ruler. 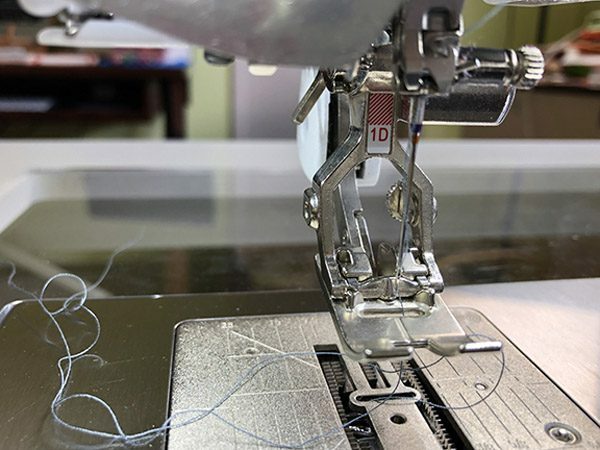 Sew strips together, end to end, lining the ends up so they have a ¼” “bunny ear” on both ends, and sew. Press all seams open. 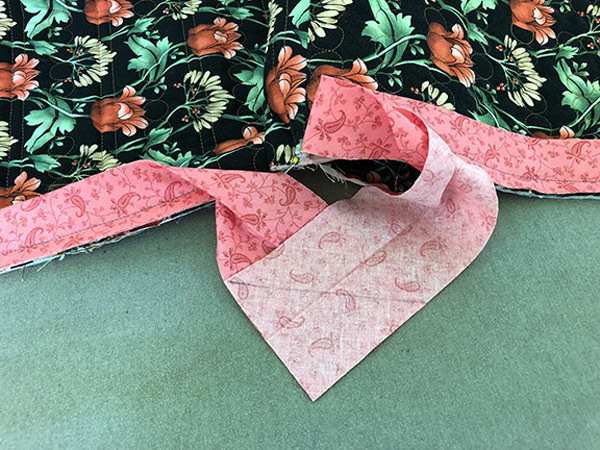 This helps to avoid bulk – which is also why we prefer to use a diagonal seam rather than a straight seam, which is super-bulky and makes a little pebble in the binding. Now, press the binding in half, meeting the raw edges, to make your binding length. 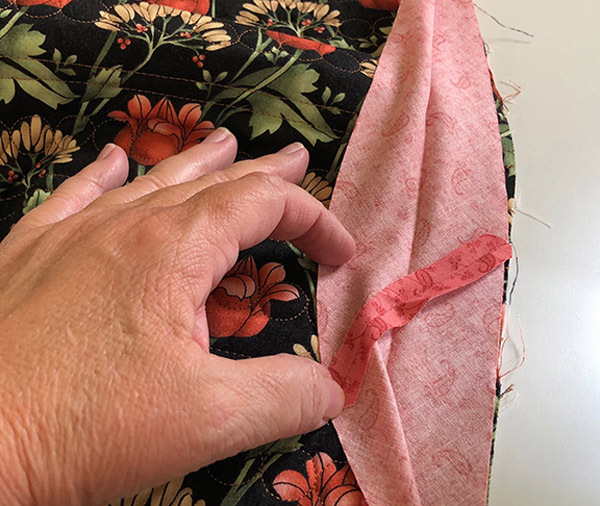 When beginning to sew on your binding, don’t start at the edge or in the middle, as your join will be really obvious to the eye. Rather, choose a side (left or right) and start one-third of the way down. Your join will be perfectly hidden. Also, let about 12″ of binding to just hang free, this is the part that you will join to the end. Next, install the Reverse pattern foot #1D, and engage the Dual Feed. See? I marked my little ruler so I can see exactly where the ⅜” mark is. I’ll use this again while stitching. Line up the raw edge of the binding to the raw edge of your quilt. Also, don’t stretch the binding as you stitch, which will add a warp to the edge that will never lay flat. Just lay the binding on and stitch. I always start and end with a little back stitch. 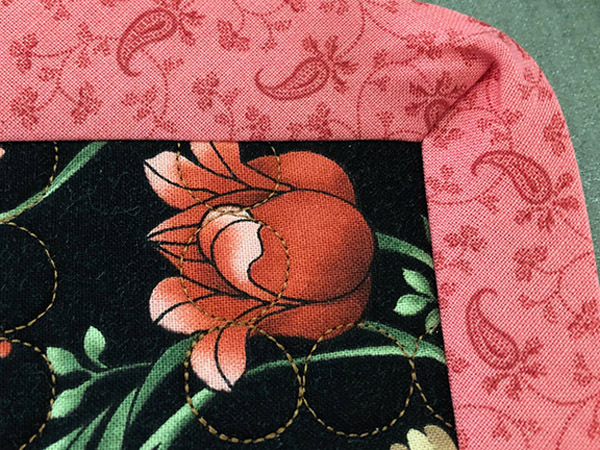 Stitch to about 6″ away from the bottom edge. With your ⅜” marked ruler, measure the bottom edge and place a pin at ⅜” from the edge. 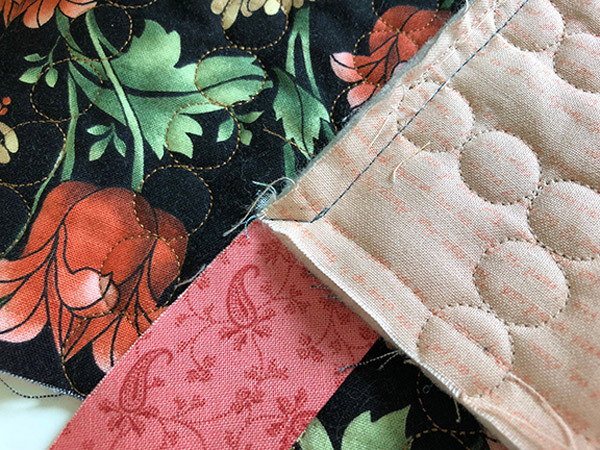 Sew to the pin, make sure the needle is in the down position, take two backstitches, stitch forward two back to the pin, then pivot the quilt edge out to the corner. Now sew out to the edge of the quilt, remove the quilt and snip threads. This mitered corner will give you a perfect right angle edge to your quilt. Stitching this corner down prevents you from making this corner binding fabric too big to too small. See what it looks like when you pull the binding back to turn the corner? Fold the binding back so it’s smooth, and now fold the binding down onto the next edge and sew from the top edge. Sew the rest of the binding to the quilt edges as previously done. 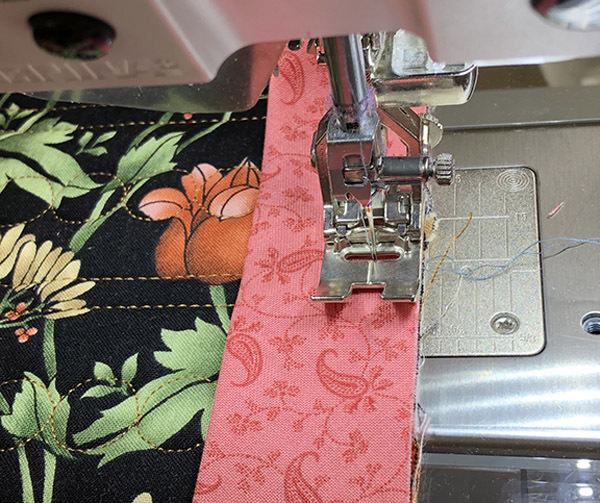 Stop sewing the binding when you are about 12″ away from where you started. 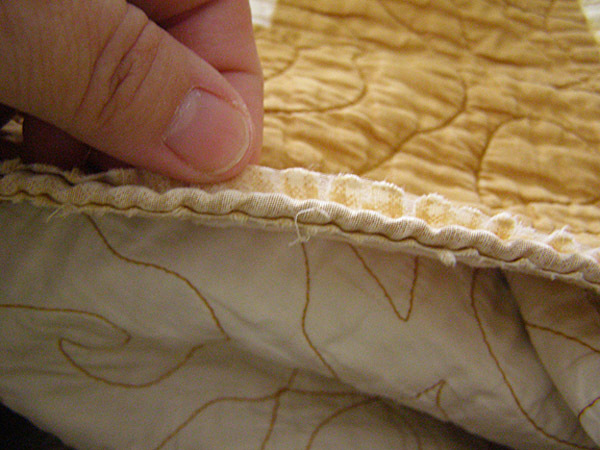 Lay the quilt flat, so you have clear access to the part of the binding that you need to join, as shown in the photo above. Next, fold the left side of the binding back, in half, and make a clean straight cut with scissors. 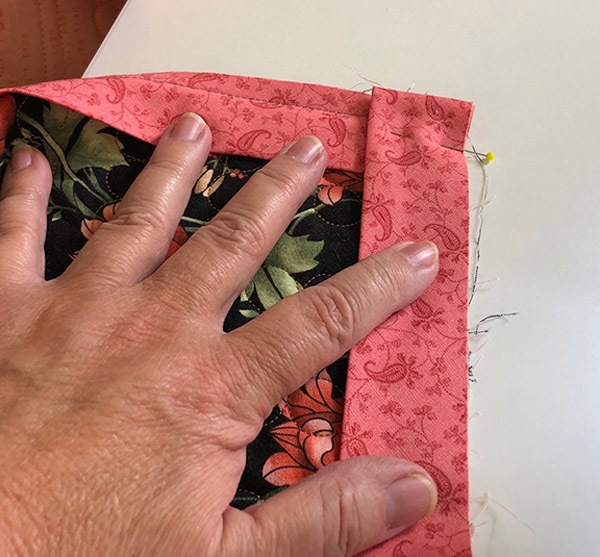 Now – between the cut edge of the beginning binding, use the ruler to measure where you should cut the tail of the binding to joining the two ends. 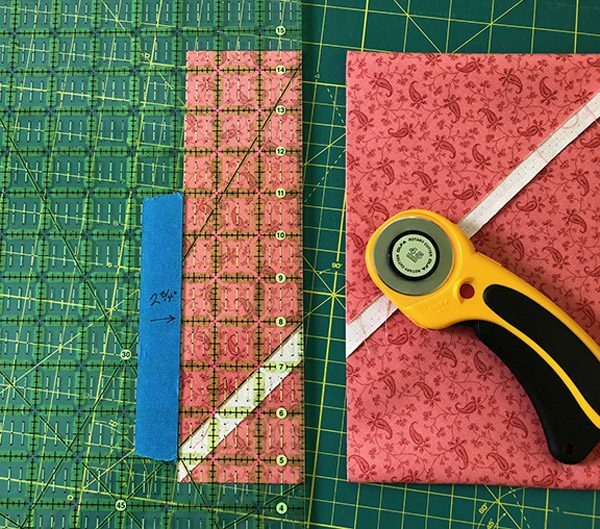 TIP: When I cut this piece to join the binding, I always cut the binding ¼” less than the width of the binding. So, I cut the binding at 2 ¾” wide, I will cut this last piece 2 ½” wide, ¼” LESS than the original width. I found if I left that ¼” on, the area where I stitched that last bit to the edge made my edge stretch just enough that it was visible when the quilt was hung. One quarter inch made a difference! So, when I cut the ¼” less, the binding lays flat and perfect. This is the best trick I can share with you. Join the two cut edges in this way. I pin the quilt together so I can have free access to all of the binding. Mark a diagonal line on the right binding edge, with a pencil. This will be your sewing line. 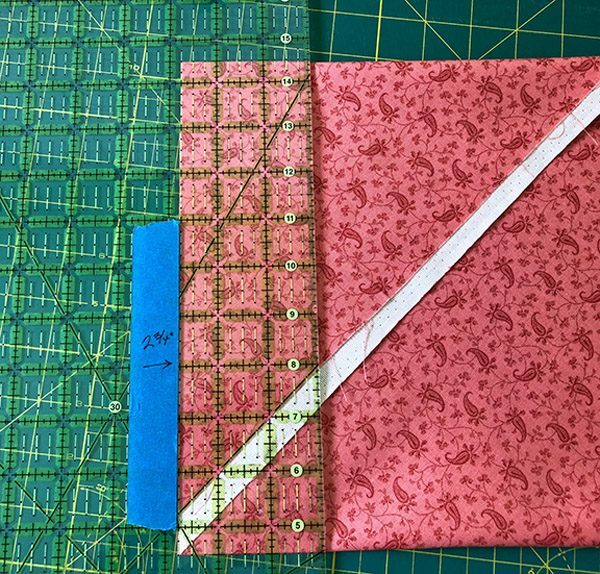 Line up the binding edges for sewing and pin across diagonal line so it doesn’t move when you sew. Pay close attention to the way to lay the edges together in the photo below, so you don’t have to pick out your stitches. 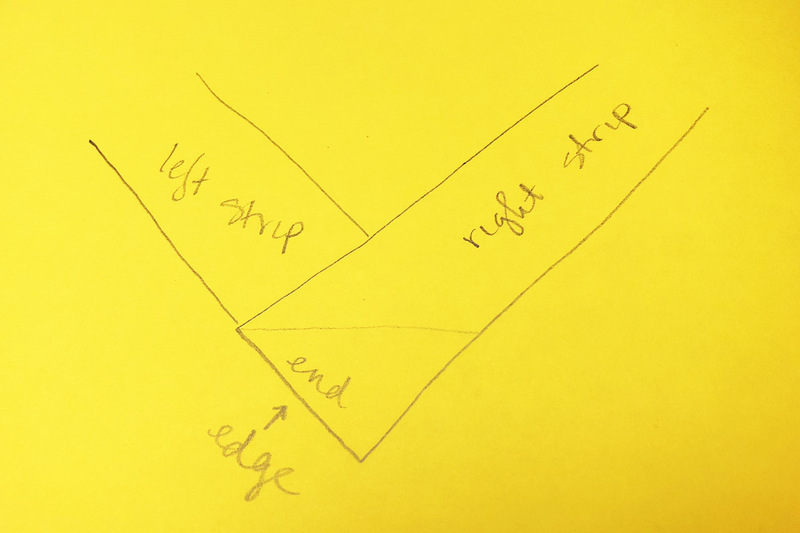 Lay RIGHT side strip over LEFT, so the end of the right strip meets up with the edge of the left strip – at a 90 degree angle, as shown in the diagram under the photo. 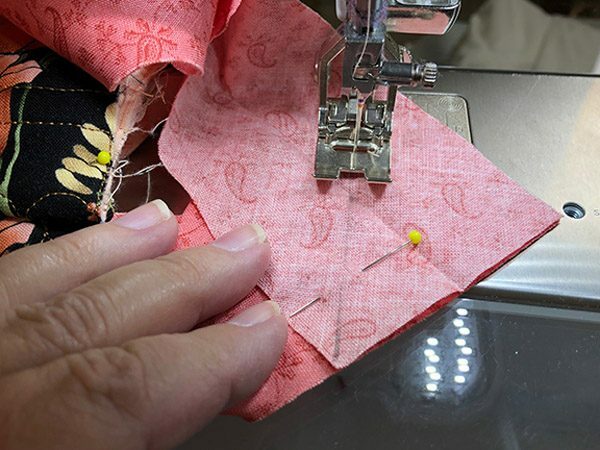 Once you’ve sewn the edges together, trim the leftover so you have a ¼” seam and press seam open. Now, sew the last of the binding to the quilt. TIP: If you take the time to press your binding flat after it’s been sewn on, the finish on the front of your quilt will be beautiful and the binding will turn to the back for handstitching much easier and evenly. If you try to pull the binding over so it covers the stitching, it will fold over the edge of the quilt inside the binding and create an over-filled and lumpy binding. 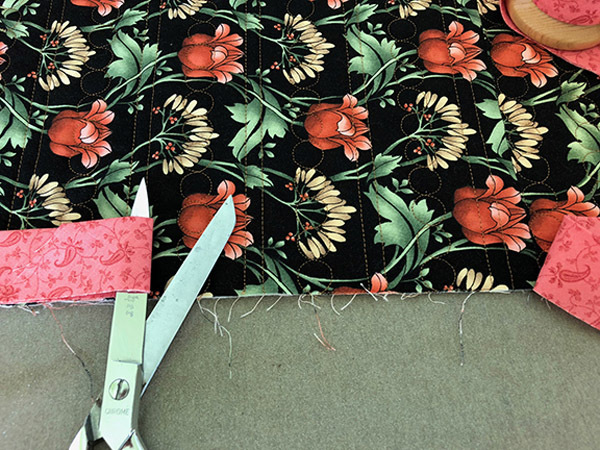 You want the binding to easily fold over so you don’t have to pull it at any part of the handstitching process. Hand stitching the binding on the back of the quilt is a task that you either love or hate, I’ve heard both. Everyone agrees, though, that it can be tedious. So, whenever I work on hand stitching a quilt binding, I reward myself by watching a movie (or two) while I work so I entertain myself at the same time! 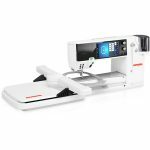 It surely makes the process more enjoyable, and it gets your quilt finished at the same time. If you have any questions or comments about this process, please comment here on the blog, and I’ll get back to you. I’m curious about your circle quilting! How did you do that? It’s soooo cute. Thanks for asking. Actually a professional longarmer did that for me. She does custom computerized and free motion work, and that was computerized. If you’re interested in her contact information, let me know. I’m sorry about omitting that direction by photo! 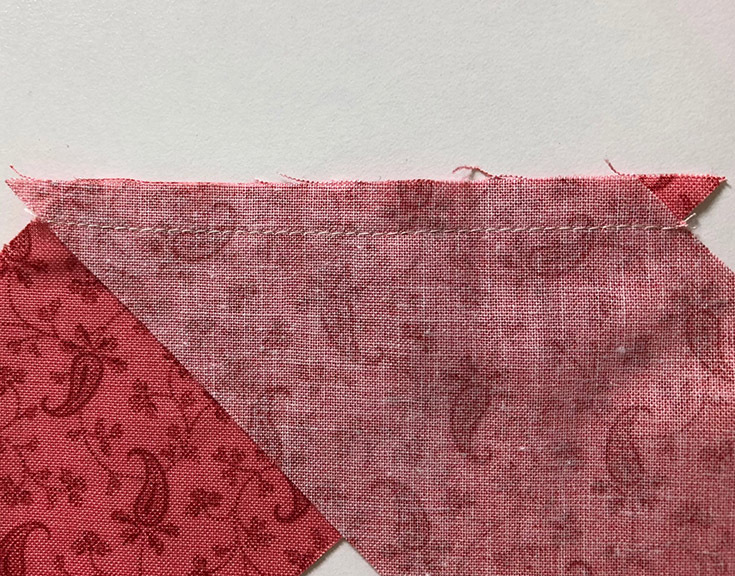 If you look at the photo just after the one for cutting on the ironed crease — you can see that the cut edge is lined up and I have folded the fabric in half. So, you’re cutting the strips in straight lines on the bias. 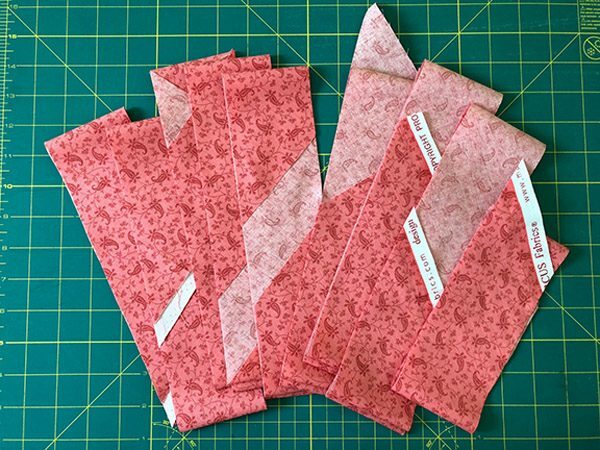 When I do a tutorial like this, I do the photos step-by-step as I go, so I don’t have the ability to go back and add a photo for how I fold the fabric once the project is finished. But it really is just as simple as folding it in half — only because the fabric is longer than the ruler. The corrections have been made in the blogpost, so all instructions are complete. After you have ironed the crease & cut on the crease w scissors, how did you reposition/fold the fabric to start cutting your strips? Did you line up your ruler w the scissor-cut edge? Thank you. I’m sorry — it seems as though I missed a photo opportunity! Yes — I DO line up the ruler with the scissor-cut edge. After cutting the crease, I fold the fabric in half, lining up that cut edge — because that’s where I need to line up the ruler to make the cut. It’s like folding triangles in half. And, I only fold the fabric in half because the ruler isn’t long enough. Helpful article. Do you have an article on how you make the hanging sleeve? Thanks. I don’t have an article on how to do a hanging sleeve, but there are several if you do a google search or search on YouTube for a video tutorial. I apply a hanging sleeve to every quilt I make because I never know when it will need to be hung – especially if it’s going to be in competition somewhere. 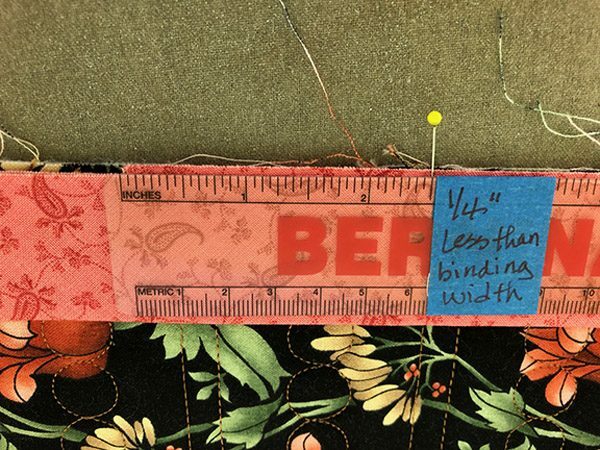 Not quite sure what you mean “Now – between the cut edge of the beginning binding, use the ruler to measure where you should cut the tail of the binding to joining the two ends.” Do you mean you measure 2-½” from the point where the cut end would overlap the tail? Yes — that’s exactly what I mean. 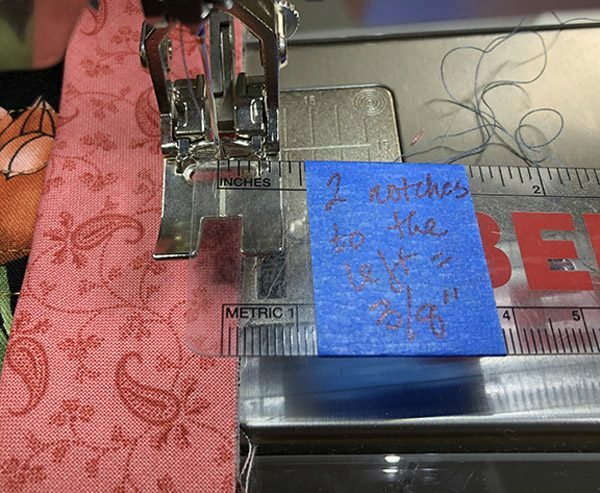 If the binding is originally cut at 2 3/4″, I cut the overlap 1/4″ less — so 2 1/2″. I sometimes make a wider binding than 3/8 of an inch because the design of the quilt might be enhanced (at least to my eye 😀). Any rules from a judge? I agree with you! Sometimes the binding needs to be wider to enhance the design of the quilt. As a judge, there is no hard and fast rule about binding being 1/4″. It’s only tradition. 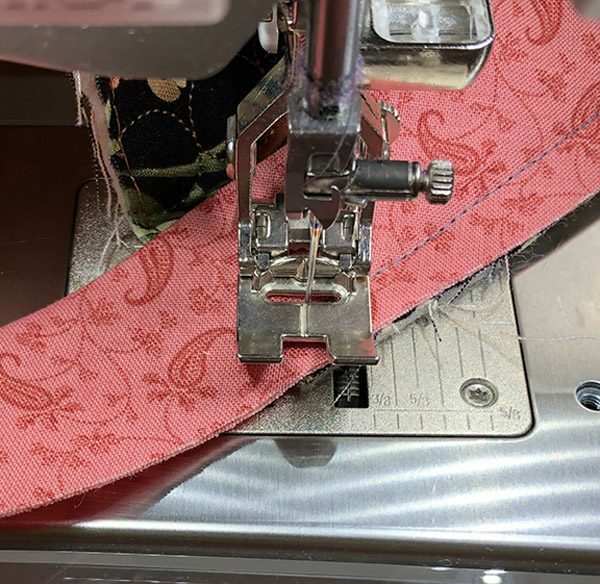 If you want to go wider, just make sure that your binding covers your stitching line on the back and doesn’t go too far over it. Smooth stitching on the back goes a long way for judges too. Sewing the ends together always gives me problems. The instructions say to lay the left side over the right but it appears that the picture is exactly the opposite. Could you explain that step in more depth? I’m going to add a correction – so please stand by. 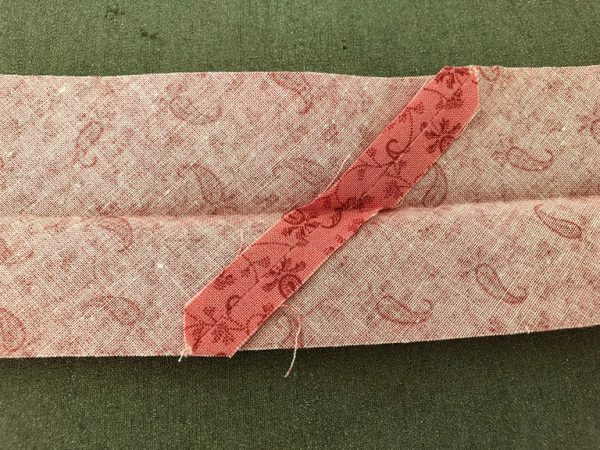 I, too, would like a little more instruction about how to position/fold the fabric after cutting on the crease with scissors before you start cutting the binding strips. The rest of the tutorial is fine but I’m a little lost on that part. Thank you. We’re going to add a clarification on these. Please stand by. I love the visuals on this tutorial, great job! I am just a little unclear on how you arranged your fabric for the cutting. 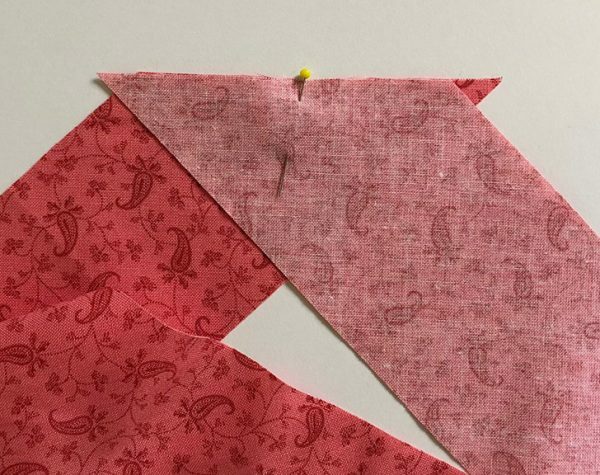 I see a triangle on top of the main piece and that the bottom is folded but not sure if you folded any other side and exactly how I should place my fabric in order to cut the strips? Thank for any help! Thank you for asking. We’re going to add a clarification to the post, so please stand by. I think this is a great tutorial and I will definitely safe it for later use. I did have the same issue as the two commenters above. I read it several times looking for how to fold the fabric for cutting. Would love clarification on this point. We’re going to add that clarification — so please stand by. Sorry few things dont make sense. One is after you fold fabric to make bias and cut in crease . The next pic shows you cutting fabric and you have it lined up different . We can see the selvage edge but not sure how you got there and how you then folded and alugned it to cut. 2nd when you got to point of sewing ends together on quilt you say you lay left over right. Isnt in right over left. Can you please clarify these points? We’re going to add clarification to the blogpost on those two points. Joining the ends of the binding is very confusing. How much do you cut off of the binding and how many inches do you leave after the cut? We are going to add a clarification to the blogpost so please stand by on that. 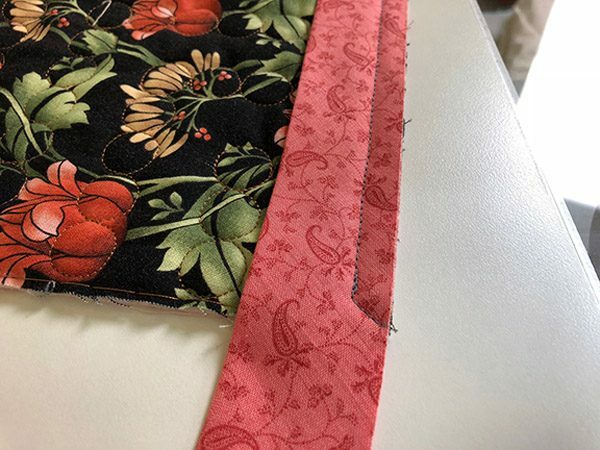 I just make an arbitrary cut on the left where I started to sew the binding on — usually leaving the sewn-on part about 6″ long. Then I measure the tail-end as per my directions and photos. 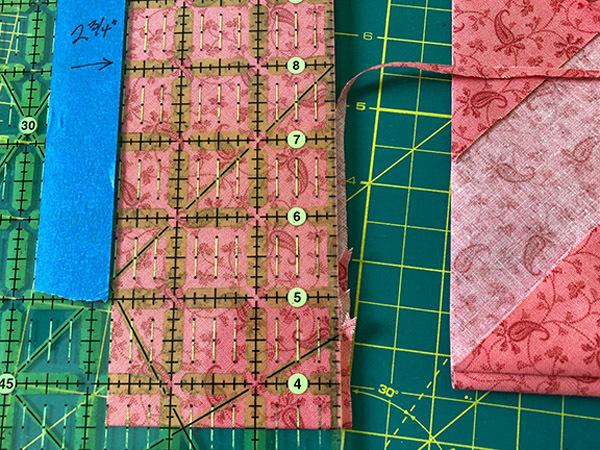 For that binding connector piece, I have them overlap each other and measure 1/4″ LESS than the original width of the binding. 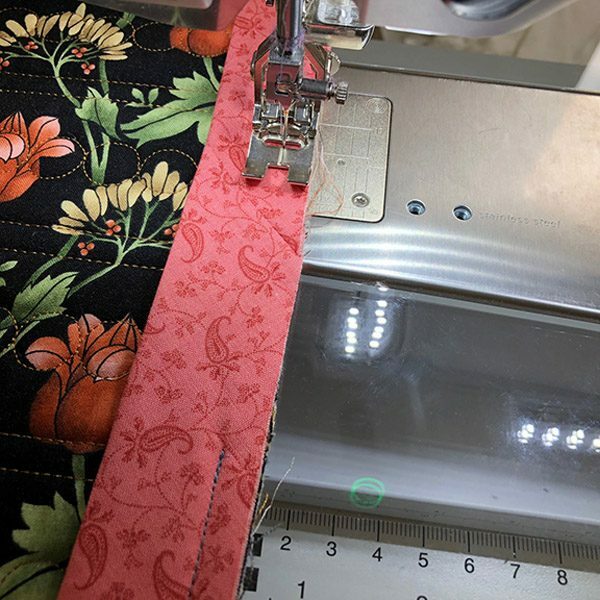 So — if I cut my binding strips at 2 3/4″ wide, the connector piece will be cut at 2 1/2″ at the overlap where you will connect the binding pieces together. It doesn’t look like you sewed the 2 triangles together before cutting your strips. Why not? As 2 others commented, clarification is needed as to how you put them back together. I don’t sew the triangles together before I cut the strips. I sew the ends of the strips together individually, so I have the binding piece in one big piece. The instructions and photos show how I piece them together, with equal bunny ears on either end so they’re lined up just right. 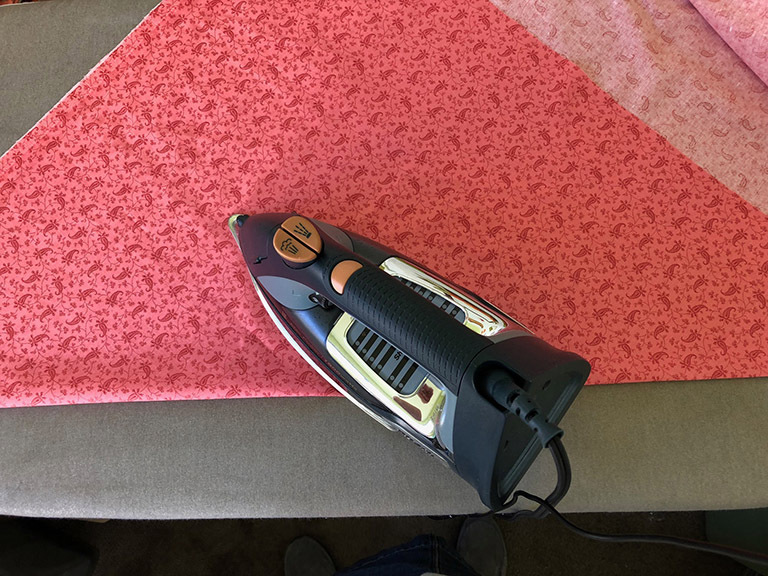 After cutting the triangles, I fold the fabric over in half and line up the cut edge and use THAT edge to line up my ruler for cutting the strips. That’s how they become bias strips instead of strips that are cut on the straight of the grain. I am afraid that I got lost on the part where it is cut 1/4″ narrower. Is there a way to show and explain this part better so I can understand. Okay — let me try to explain. 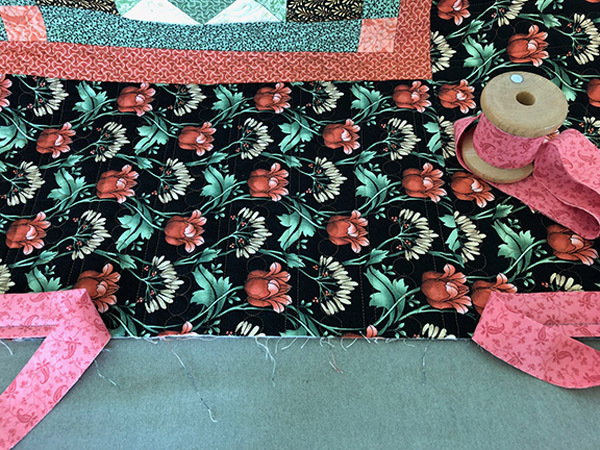 The reason why I cut 1/4″ less of the binding when I sew the ends together, is so when I stitch that last bit of binding to the edge of the quilt, the edge of the quilt doesn’t GROW and stretch out of shape. I found that if I don’t cut that 1/4″ off, it DOES grow and stretch. The 1/4″ cut isn’t narrower, it is cut shorter. 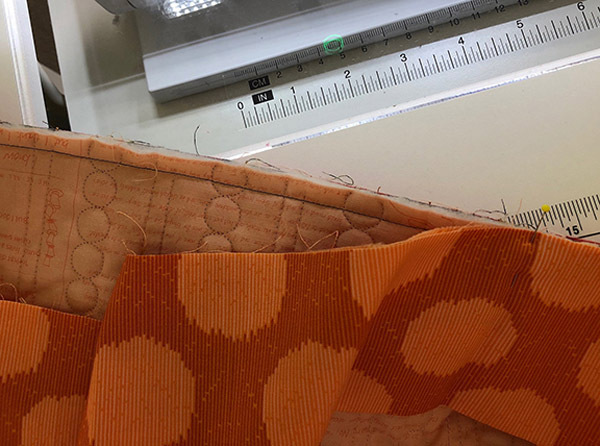 So — if I cut the strips of my binding at 2 3/4″, I need to cut the ENDS of the binding where they meet up and need to be sewn together, 1/4″ LESS — so I cut the overlap at 2 1/2″, then sew them together. I also appreciate this tutorial, but agree with comments above on what to do following cutting the bias with scissors. 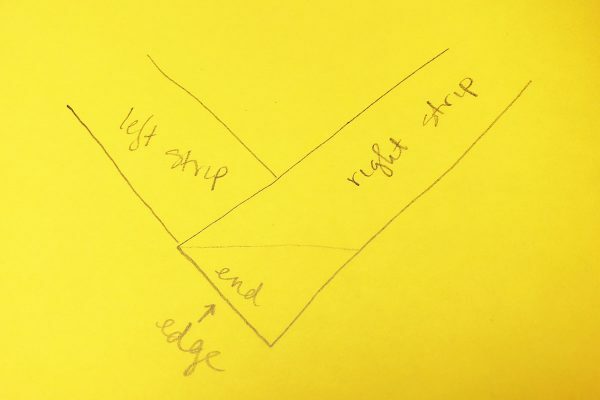 Also, for joining the ends, you said “Lay left side over right, with the raw edge on the left.” The picture shows the right over the left. Which is correct? I’ve addressed these issues above and realize that we need to add some clarification to the blogpost. Please stand by. I have exactly the same questions. Hoping for an answer soon. I can see how using 3/8” seam allowance would work well when there is a plain border but what do you do when there is piecing with points 1/4” along the edge to be bound? Using 3/8” would chop off the points. Thanks for asking. Here’s what I do: I sew the binding on first with a 1/4″ seam allowance, before I trim the edges of my quilt. Then I trim and I leave an extra 1/8″ of batting and backing so when I turn the edge, the binding will be completely filled and my points don’t get cut off. I just finished a quilt with the cleanest, prettiest binding I have ever done with the procedures in the post. Thank you for this. The 1/8” adjustments make the perfect look and fit. Thanks again. Well done! 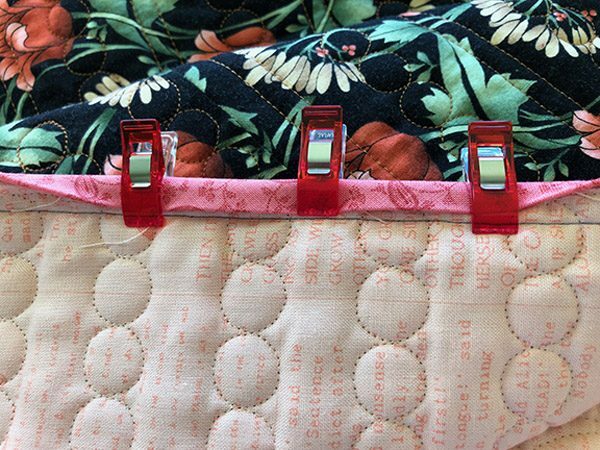 This is the best tutorial I have ever seen on quilt binding. Thank you, thank you, thank you! I have found it very helpful.